Fixings for wall-mounted Elfa systems. Cover for wall mounted Elfa Top Track. Vertical wallbars for wall-mounted Elfa shelving systems. 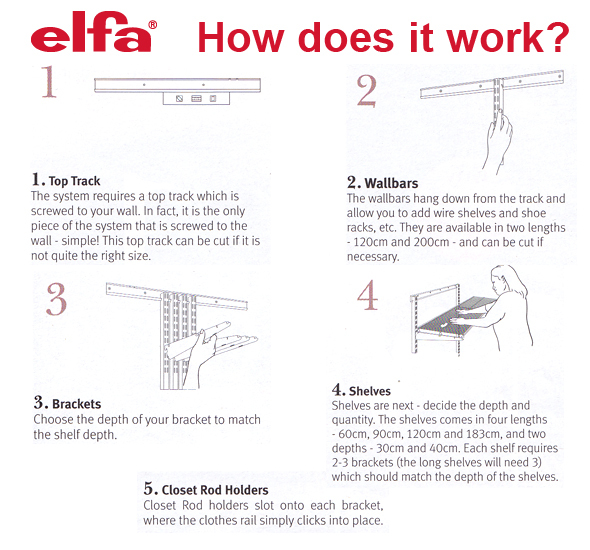 Brackets for Elfa wall-mounted systems. Use Elfa Solid Shelf Brackets to support your solid shelves. Ventilated shelves for Elfa Wall-Mounted Systems.